The South African mining firm Gold Fields bought this mine in Hualgayoc (district), Cajamarca (region) in 2003. 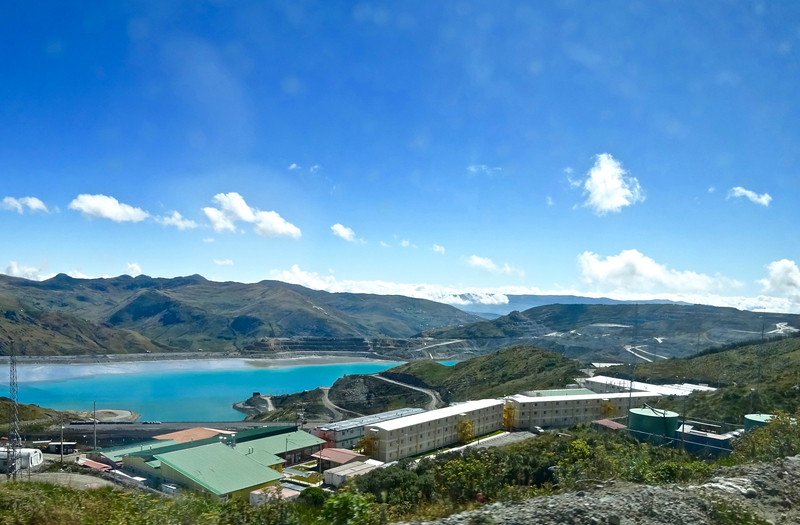 The state approved the company's environmental impact assessment in December 2005, and the company began constructing its Cerro Corona mine, directly on the former mine, the following months. The Peruvian ombudsperson first reports about local concerns regarding water pollution and scarcity in 2006. The area is known to have more than 900 registered environmental hazards, including dozens of ponds polluted with heavy metals. Company officials claim this is related to centuries of mining in the area, but several large-scale, cyanide and mercury-intensive mining operations in recent decades are mainly responsible. There have been at least three strikes and demonstrations aimed at the company since 2006, but no property damage has been registered, nor has any police violence against demonstrators. On one occasion, a company representative was detained by authorities from the local Rondas Campesinas, but these groups are legally empowered to detain suspects temporarily, so whether this is framed as a kidnapping or not is a matter of debate. Although perhaps unrelated, Gold Fields did face a more violent conflict, in which multiple people died, but only indirectly, by partnering with Buenaventura in a joint venture as Minera Consolidada. Operated by Buenaventura as the senior partner, Consolidada sought to explore mineral deposits near Hualgayoc, in the more elevated and isolated Linda Vista communities, in 2009. About half of the people there were opposed to the mine, so they staged a demonstration and road blockade. However, many of the people living closer to the site of the mine had already sold their lands, found the company’s offer alluring, and for other reasons supported the mine, so they arrived to confront the protesters. A large contingent of police was dispatched to the area. I cannot confirm the sequence of the events, but the confrontations were lethal. Many were wounded, and a female child from the area and of a young adult protester were shot and killed (see Bloomberg 2009). Again, these events bear mentioning because they did involve Gold Fields, even if it was not the operating partner in the joint venture; but they are also analytically interesting because not even the fiercest of Gold Fields’ opponents in Hualgayoc holds this matter against the company. At the same time, mining opponents in Hualgayoc have serious claims. Besides the widespread claims about water pollution and availability in Hualgayoc, another crucial point that does directly revolve around Gold Fields has been the damage that controlled explosions at the mine are causing on nearby houses. The closest houses are only about one kilometer away from the epicenter of explosions within Cerro Corona. Their inhabitants have documented their fractured walls and complained to local authorities; however, the current mayor seems to have a favorable outlook on mining in the district. A finer criticism I also heard about Gold Fields was that, while its large corporate social responsibility budget could help it evade conflicts, its investments into community programs do not reduce the mine’s environmental impact and water consumption. As one of the environmental movement leaders in town told me, these dialogue spaces and programs were meant to depoliticize conflict and keep people complacent. This may be significant as Gold Fields' strong corporate social responsibility programs may actually prevent local groups from mobilizing, making claims, and finding the institutional mechanisms to seek resolution. Without these dynamics that channel conflict through nonviolent and deliberative/democratic avenues, resentment is dangerously forced to boil under the surface. Additional Information: En el año 2010 los dirigentes Walter Barboza y Napoleón Gutierrez del Comité de Lucha Socioambiental de Hualgayoc viajaron a Lima para entervistarse con el gobierno y exigir solución a los problemas socioambientales generados por la empresa; sabemos que la presencia de numerosas empresas constructoras en la zona generó conflicto entre la población asi como los derrames de relaves en los rios Tingo y Maygasbamba, hechos que la minera niega. Cansados de reclamar, en el 2013 más de 3000 ronderos se concentraron en "El Sinchao" reclamando justicia; la poblacion reclama al (ex) alcalde Hernán Vasquez de la provincia de Hualgayoc de actuar en favor de la empresa minera. Eddy Benavides, nuevo alcalde electo en 2014 realiza regulqrñente inspecciones a las cabeceras de cuenca, En 2015 se realizan numerosas protestas sobretodo luego de que el ANA (Autoridad Nacional del Agua) diera a conocer un estudio sobre el nivel de contaminación de los rios Tingo- Maygasbamba, Hualgayoc, Arascorgue y Llaucano, y las quebradas aledañas con aluminio, calcio, sulfato, arsénico, cadmio, cobre, fierro, plomo y zinc. 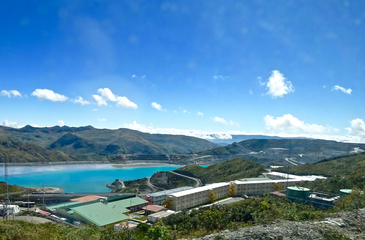 Project Details In 2012, Cerro Corona was Gold Fields' most profitable mine worldwide. By Dec. 2012, the operation had mined 14,006 kilotons of earth. Mineral Resource at 3.7 Moz gold and 1,302 Mlb copper. Mineral Reserve at 2.8 Moz gold and 1,039 Mlb copper. A total of 170 koz of gold and 36.2 kt of copper were produced in 2012. Life of Mine expectancy: 2028 (16 years). Design capacity planned to treat 775 (current 800) tonne/hour at 91.3% (current 95%) availability to reach an annual treated tonnage of 6.7 million ore tonnes. Environmental justice organisations and other supporters Comité Interprovincial de Rondas Campesinas, Central Única Provincial de Rondas Campesinas de Hualgayoc, Frente de Defensa Provincial de Hualgayoc, Comunidad Campesina El Tingo, Comunidad Campesina El Tingo, Centro Poblado Coimolache, Centro Poblado Morán, and 40 neighborhoods, Grupo de Formación e Intervención para el Desarrollo Sostenible (GRUFIDES). Other Explosions at the mine might cause hydraulic damage to the earth, in addition to damage to local homes. Development of Alternatives Few at all. Environmental organizations and activists mentioned ecotourism, agriculture, and fishing as possibilities, but not as proposals. Although complaints about the environmental, social, and economic effects of mining are widespread in the communities near the mine, it appears that most people are resigned to living in what is now a mining-intense region. Why? Explain briefly. The movements appear largely demobilized and fragmented by the company's efforts at corporate social responsibility and public relations. Bloomberg. 2009. “Gold Fields Halts Peru Exploration Project on Protest,” September 18.